Why pay more for Festool? The most expensive and exclusive tool manufacturer on market today is the German company Festool. 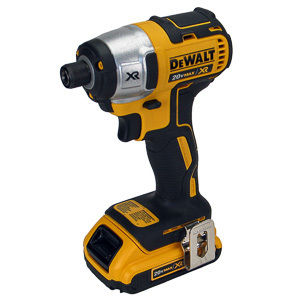 They sell their tools at a significant markup compared to the competition. Yet the business is booming. 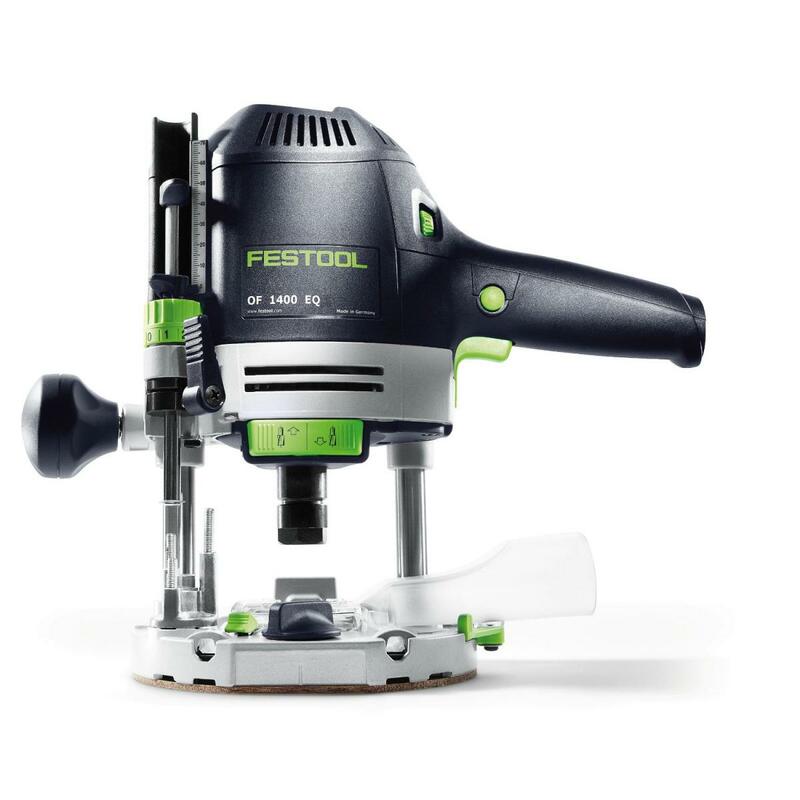 Let's take a look at what makes Festool the favorite of so many carpenters and woodworkers. Festool's main selling point is that every tool they sell is part of the Festool system. 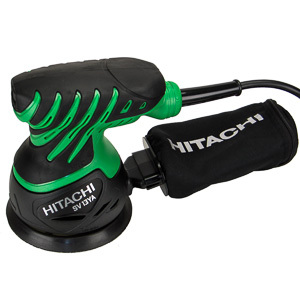 That means that the tool will work with any of the accessories sold for it and other tools. For example, the Festool routers, tracksaw, multi-function table, and several other tools snap into the Festool guide rail for easy straight line cutting. The company's philosophy is that every tool and every accessory should work together to create capabilities that would otherwise not be possible. 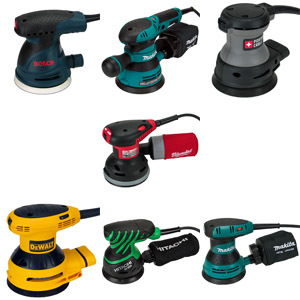 Over the years Festool has created an impressive amount of accessories. The Festool system outperforms any other system on market today in terms of capability. Festool's competitors will have to scramble to match it in the next few years. A user of Festool tools can always count on the tool having excellent dust collection. The company knows that contractors often have to work in finished spaces. If a tool makes it easy for a contractor to keep the client's home tidy, it is the tool that gets taken to that job. Every Festool tool is sold with a dust shroud and all the adapters necessary for efficient dust collection. The core of Festool's dust collection system is a Festool shop vac. The operator connects his tool to the shop vac with a vacuum hose. Instead of plugging the tool into the wall, the contractor connects the tool's power cable to shop vac. 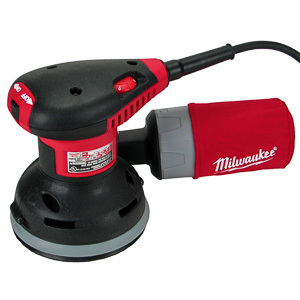 This allows the shop vac to sense when the tool is turned on. The vacuum will come to life when the tool is in use and will turn itself off when the work is done. 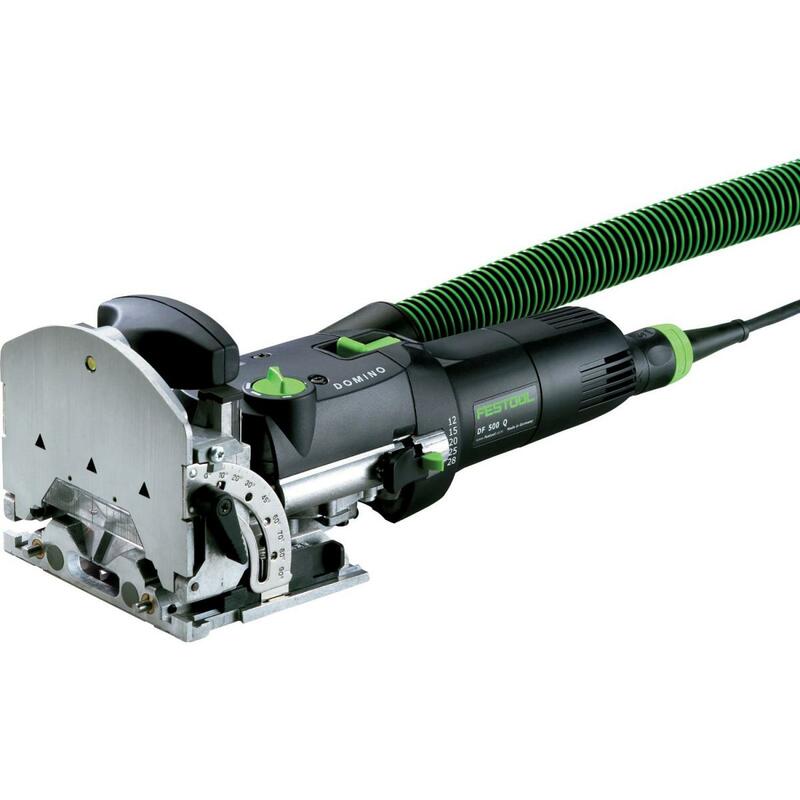 Overall the dust collection features of Festool tools are excellent. 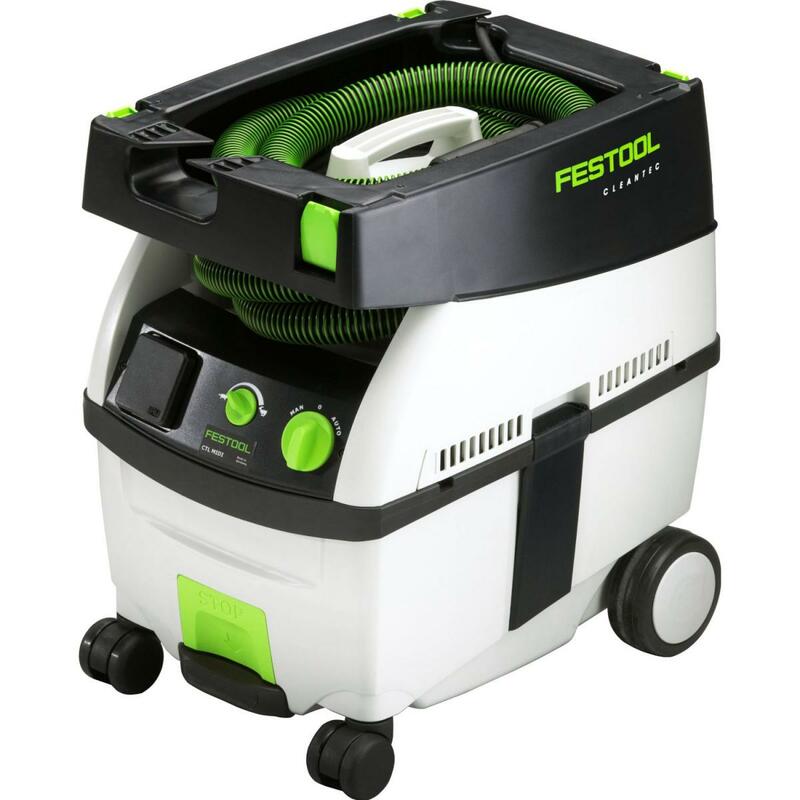 If dust collection is important to you, Festool tools do it better than anything else. The system approach to tool design makes Festool tools very light and portable. Since accessories are shared between tools, and some tools pull double duty, a contractor has to move less weight and bulk to and from a job site. When time is money every pound of weight counts. Simple ideas like making the power cord detachable make a difference here. Instead of of having to pack 10 tools with 10 cords, a Festool equipped contractor only needs to bring 8 tools and one or two cords. 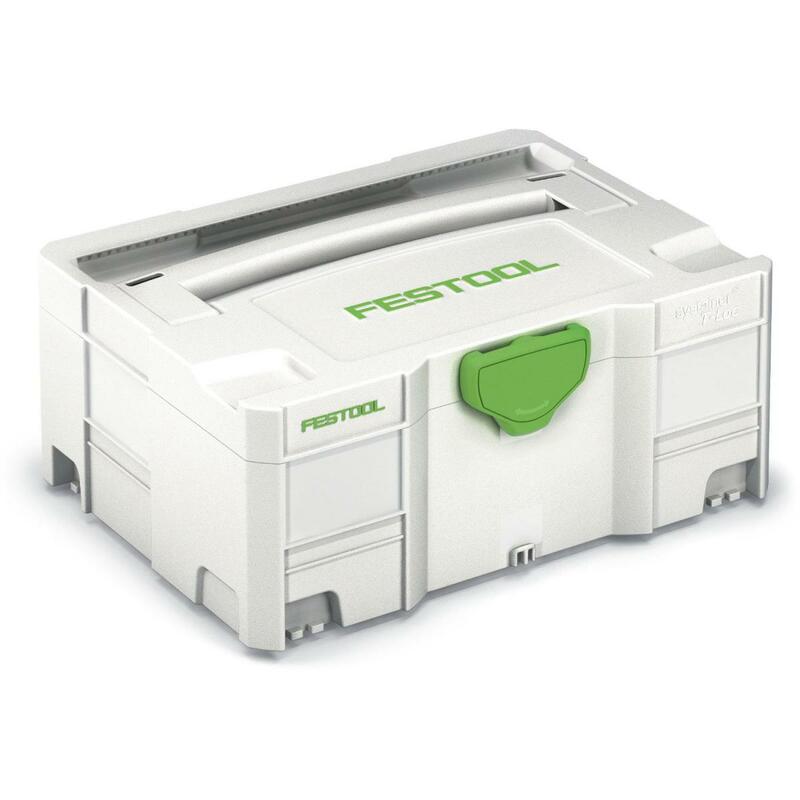 To makes things even easier, Festool packages every tool they sell in a plastic case they call a systainer. The systainer hold everything necessary to operate a tool. 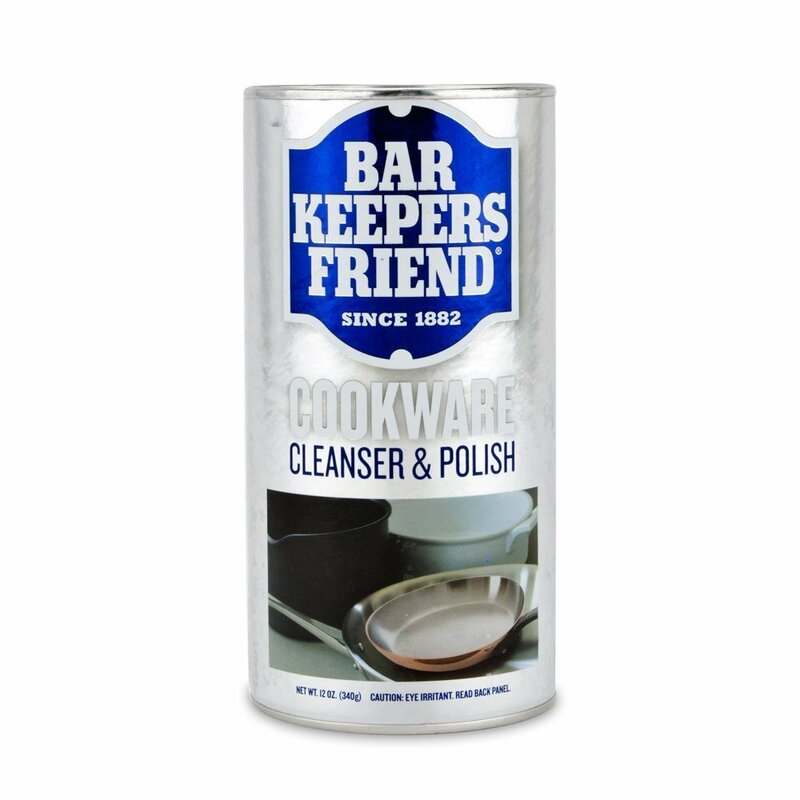 Made from tick walled plastic, every systainer is a tool chest of it's own. 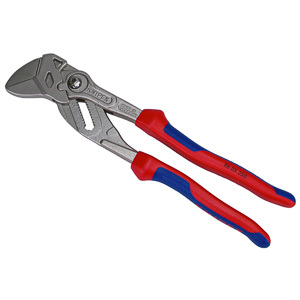 There are several sizes to hold different size tools efficiently and securely. For transportation the systainers stack and snap together with an innovative twist lock. A contractor can carry several systainers by the handle of the top most systainer. All individual systainers in a stack remain full accessible without having to decouple each from the stack. For very large stacks of systainers Festool sells a trolley that transforms the stack into a mobile tool chest with wheels. The ability to get all their tools to a job site quickly is why a lot of contractors love Festool. Twice a day a Festool tool saves the owner some work simply by being easier to transport. Some say that this factor alone is worth the price premium Festool charges. Each Festool tool, when viewed individually, is a high quality offering. 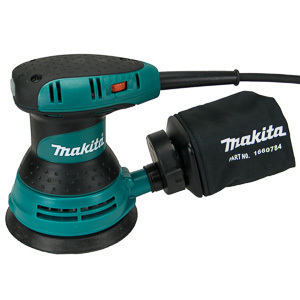 The company does not cut any corners in design or manufacturing of their tool. If it's black and green, the Festool colors, you can be assured it will last a long time. Performance wise Festool tools are at or near the top of their categories. When judging each tool's quality purely on its own merit, Festool tools often get beat by tools from other manufacturers. The Festool product, however, won't be far from the top. Festool's competitor have taken notice of the German company's rise. 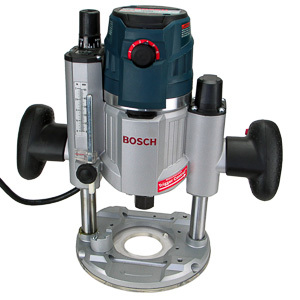 Bosch and DeWalt in particular understood how Festool out-innovated the establishment in the last few years. They too have started packaging their tool in their own versions of systainers. Having just started doing so, their systems are not nearly as mature as Festool's. Over the next few years the entire tool market will learn from Festool and adjust. Innovation pioneered by Festool will soon be available from other manufacturers. Festool will have to adjust as well. If it does not increase the quality of its own tools it will soon find itself being outsold by competing products that are far better than its own. The choice of whether or not to invest in a Festool setup depends primarily on how much you value being organized. Festool is currently the undisputed best option for finish carpenters. No other system allows a carpenter to work faster on the job site. In a woodshop the story changes. Individual tools from other manufacturers often outperform the Festool tools. Having multiple tools around, which is a negative on the job site, can be a positive in the shop. Investing in several Festool routers, for example, just to have several at hand for fast access, can become very expensive. If in doubt, you can't go wrong with Festool. All Festool tools are a delight to use. In a few years the other manufactures will have caught up with Festool. Until then Festool remains the only choice for believers in the system approach. Festool's tools work together as a system to offer capabilities that each individual tool cannot offer. Accessories are shared between tools. Each tool is prepackaged in its own carrying case, a systainer, for easy portability. Systainers stack and lock together for even better mobility. Dust collection on every Festool tool is second to none. Carpenters who work in finished spaces value the Festool system for its ability to keep the job site clean. Overall Festool offers an experience that is currently unmatched in the market. A lot of people are willing to pay the price premium for the "system approach". The competition offers better individual tools, but cannot match the Festool system as a whole. The market will change to correct this problem in next few years, but until then there is a clear benefit to purchasing a Festool tool.